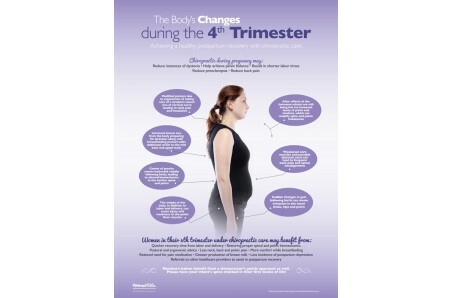 An ideal addition to support your pregnancy & pediatric practice, this poster outlines the physical changes that occur during the 4th trimester. 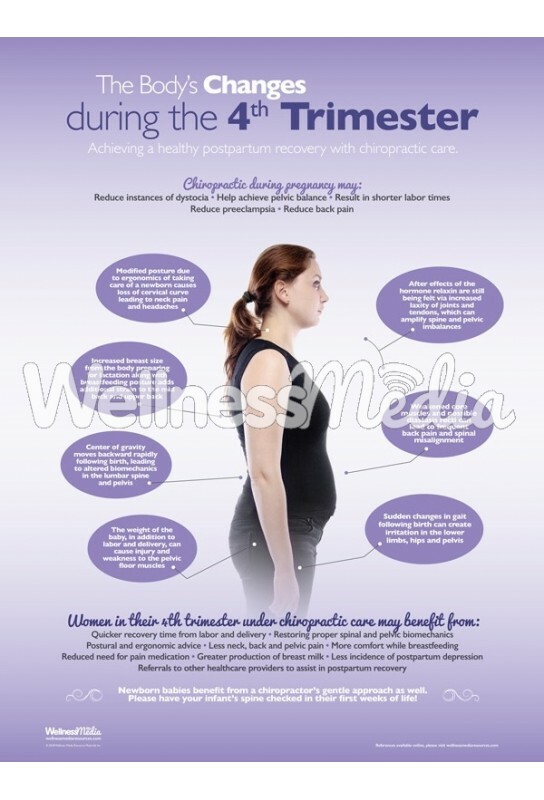 Included in this 4th trimester poster: the benefits of chiropractic during pregnancy, changes that occur during the 4th trimester and benefits of receiving chiropractic throughout the 4th trimester. A short callout on having infants checked is also included.